You have no idea how big it was. The Beatles were the Perfect Storm of pop culture. They were the leaders of a “British Invasion” that also included the likes of The Rolling Stones, The Who, The Kinks, The Yardbirds, the Troggs and so many others. Now, it has been half a century since John, Paul, George and Ringo, along with their bowl-style haircuts launched nothing short of a phenomenon. The Beatles couldn’t put out music fast enough. Today, a singer might have a song or two in the top 100. They would have 5-10 songs at a time. If you were lucky enough to see the Beatles live, you had a moral obligation to scream your lungs out during the entire concert. While the World War II generation didn’t understand the band or their music, people under 40 were excited about this new style. I remember one of my neighbor kid buddies, Kenny Vaughn, who had a mom that loved the Beatles. “Wow, your mom is cool!” Then there was the time my mom returned home from a grocery shopping trip, where she had bought the Beatles new “Revolver” album for $1.99. Yep, back then, you’d occasionally find albums in grocery stores. Of course, teenage girls were the biggest fans, but even in grade school, I remember kids in elementary school wearing “I love Paul” buttons or, if you were in the other camp, an “I love John” button. Americans like Buddy Holly and Elvis Presley broke ground with this new “rock and roll” stuff. 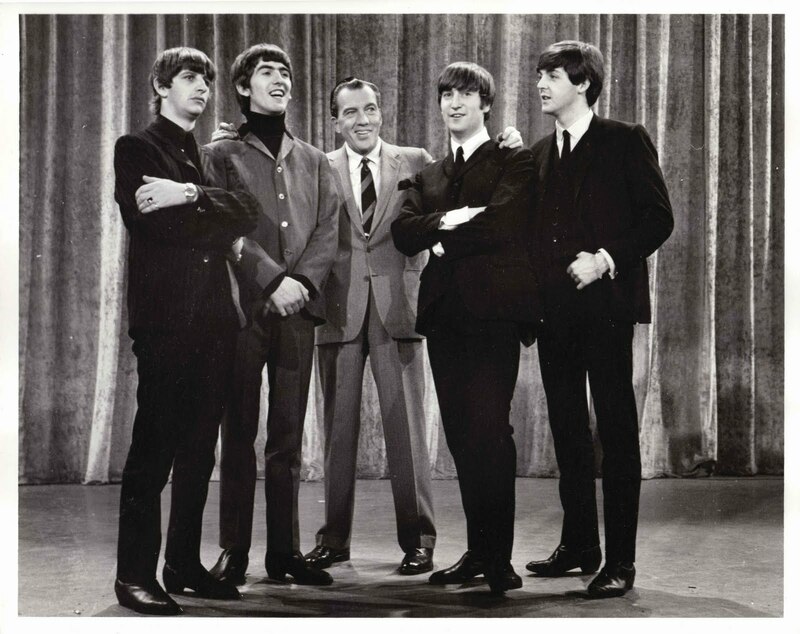 The Beatles were the icebreaker that tore open a wide hole in pop music and culture. For younger Seattle Seahawks fans, think of how you couldn’t get away from stories about Richard Sherman, Marshawn Lynch and other team news. Now, imagine that level of coverage on the Beatles going on for years without stopping. There were Beatles lunch boxes and dolls and books and commemorative pins. After that initial appearance on “The Ed Sullivan Show” (basically, the “America’s Got Talent” of its time, but without a contest element, held in the place where David Letterman hosts his “Late Night” show), we couldn’t wait for the next one. When it was announced, schedules were locked in and you knew you’d have to wait through several other acts—a guy balancing plates, a mouse puppet, a magician—to get to a performance by the Fab Four. Remember, this is way before DVR’s, so you HAD to be watching. If you missed it, you’d have to wait almost 20 years for the VHS to be invented.